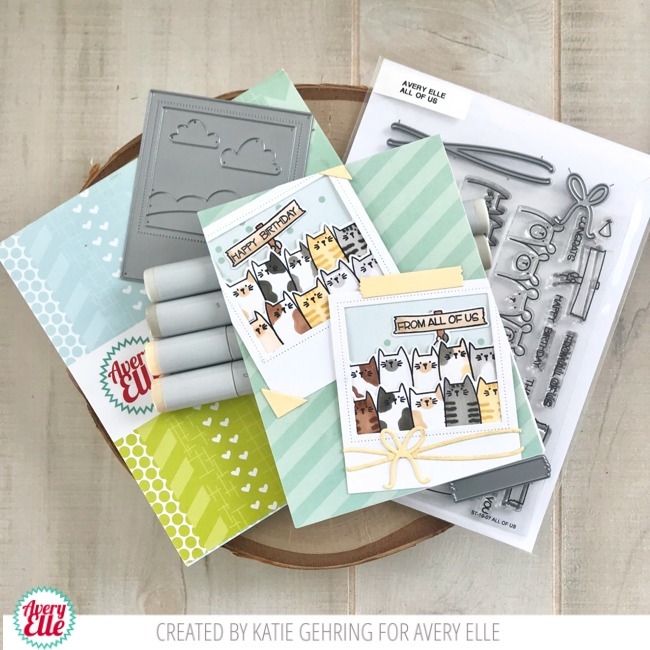 I have a fun card to share today featuring Avery Elle's Market Stand stamp set. 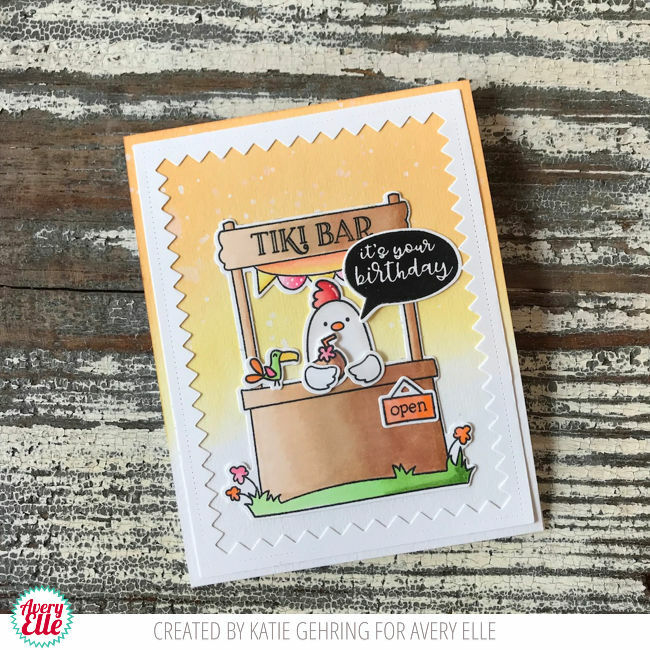 I just love the Market Stand stamp set. It features so many great images and accessories that make it truly versatile; plus it pairs so well with the all the adorable Peek-a-Boo animal sets. 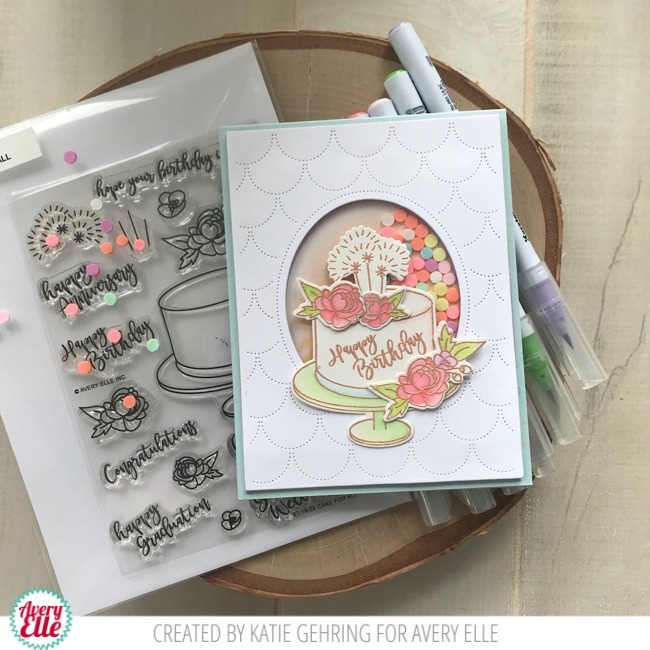 I am a little behind in sharing a card and video I put together using Avery Elle's awesome Cake for All stamp set and the Scalloped Mat Elle-ments die. Spring is in the air, and Easter is just around the corner. 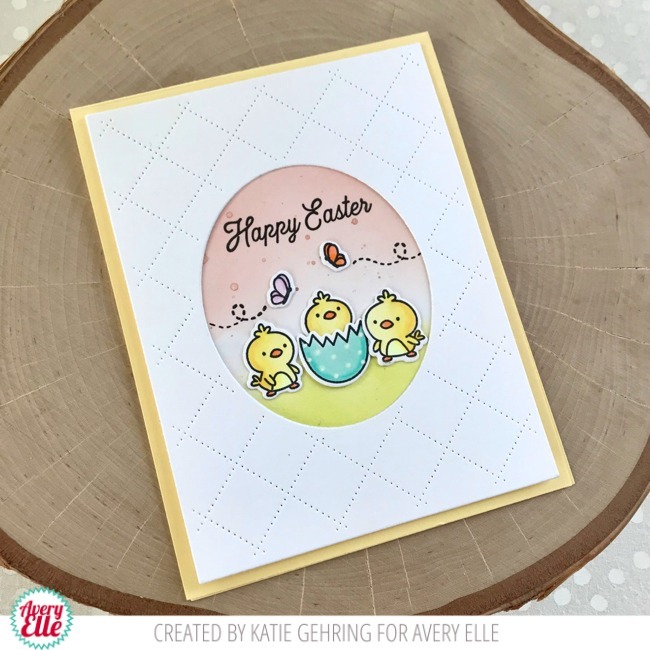 I have a sweet card to share with you today featuring the adorable Easter Chicks stamp set by Avery Elle. To make the card, first I blended some Distress Oxide ink onto a panel of watercolor card stock and spattered the background with spray ink. 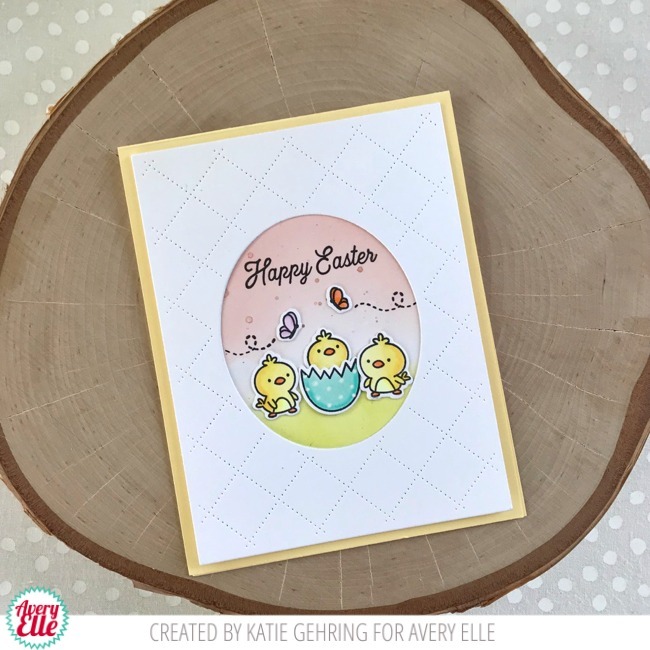 I stamped the chicks, eggshell and butterflies using Avery Elle's dye ink in New Moon and colored the images using Copic makers. I die cut the images using the coordinating Easter Chicks Elle-ments dies and arranged them onto the blended background. I stamped the sentiment and the butterfly trails and added some polka dots to he eggshell using a white gel pen. Finally, I framed the scene using the new Quilted Frames Elle-ments die and adhered the panel to a yellow A-2 notecard. I hope these cute chicks brighten your day. Thanks so much for stopping by! 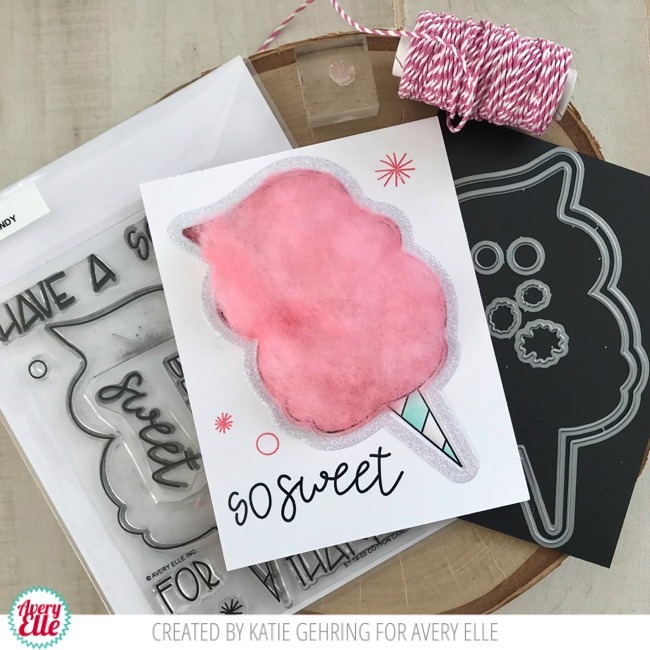 It's Cotton Candy week on the Avery Elle Design Blog, and I am so excited to share my card with you today featuring this fun stamp set! 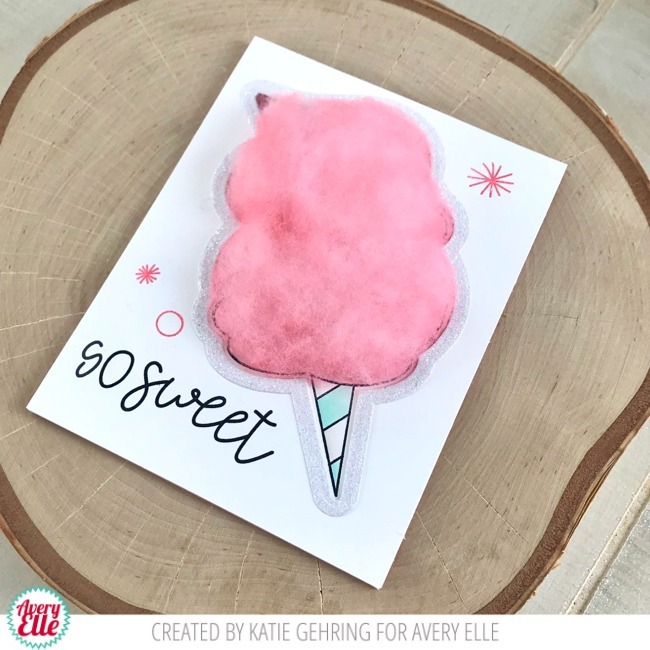 When I saw this stamp set, I wanted to figure out a way to make a card that actually looked like cotton candy (minus the sticky). 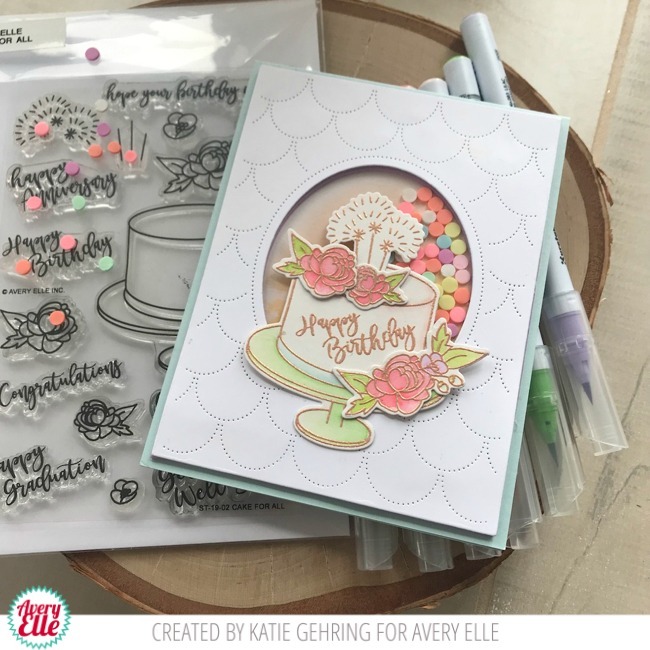 Just popping by quickly today to share a card featured a couple weeks back on the Avery Elle design blog. You know when you think you published a post, but you didn't. Yep, that's been my February! 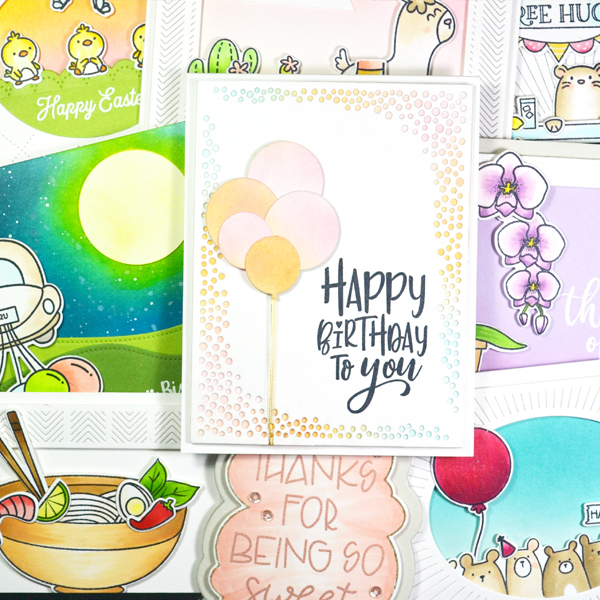 Anyway, I thought I would share my All of Us card here with you, because this set is super cute and so fun to color! I just love this set. It's perfect for making cards from a crowd! 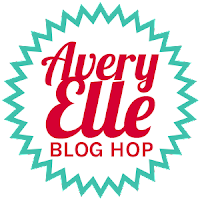 I am so excited to be joining in all the fun with Avery Elle's Spring 2019 new product release and Blog Hop! You should have arrived here from Melania's blog. 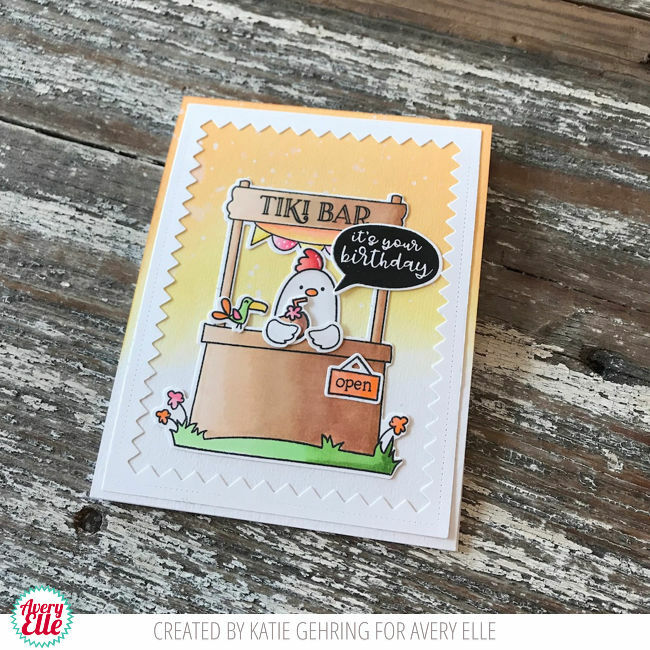 I have a fun card to share with you today using the new Journey stamp set and coordinating Elle-ments die. 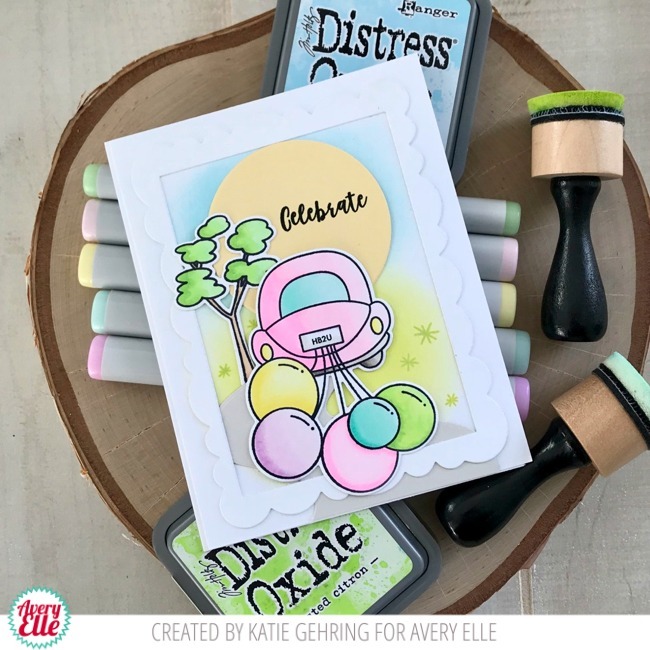 The Journey stamp set features this adorable car with trailing balloons, tree and sentiments perfect for so many occasions. From birthdays to weddings to graduations and other accomplishments, Journey's got you covered! To make my card, I blended a watercolor panel with a bit of Distress Oxide ink in Tumbled Glass and Twisted Citron. I stamped some of the stars from the set onto the grass for a little more interest. Next, I added some die cuts using the Cityscapes Elle-ments set and the Wonky Scalloped Frame Elle-ments. 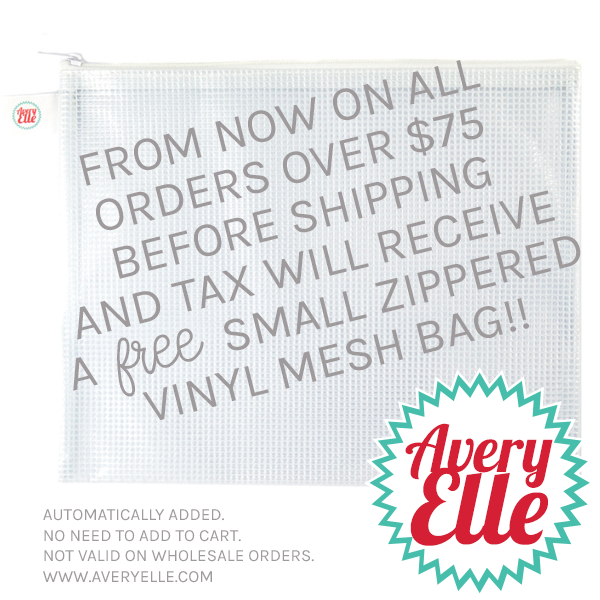 All products are available for purchase in the Avery Elle store right now. You can check them all out here. In celebration of the new release, Avery Elle is introducing a new special- orders over $75- before shipping and tax- will receive a free small zippered vinyl mesh bag! 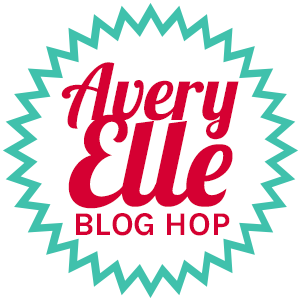 Avery Elle is also giving away a $25 Gift Certificate to one random winner. To enter to win just comment on this post and on the posts of the designers participating in today's hop. There is no purchase necessary and you must be 18 years of age or older to enter. This giveaway is void where prohibited. You have until midnight Sunday, February 10 to enter. The winner will be announced on the Avery Elle Blog on Monday, February 11. 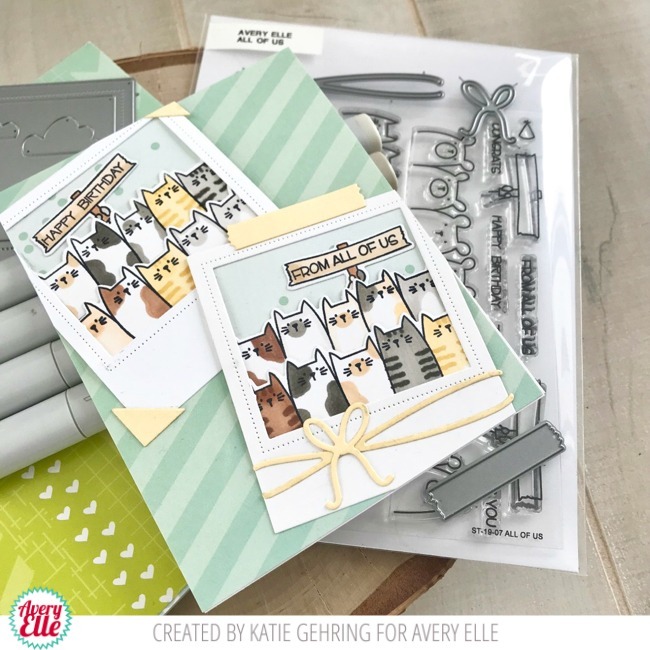 I am on the Avery Elle blog today featuring the sweet Some Bunny stamp set. 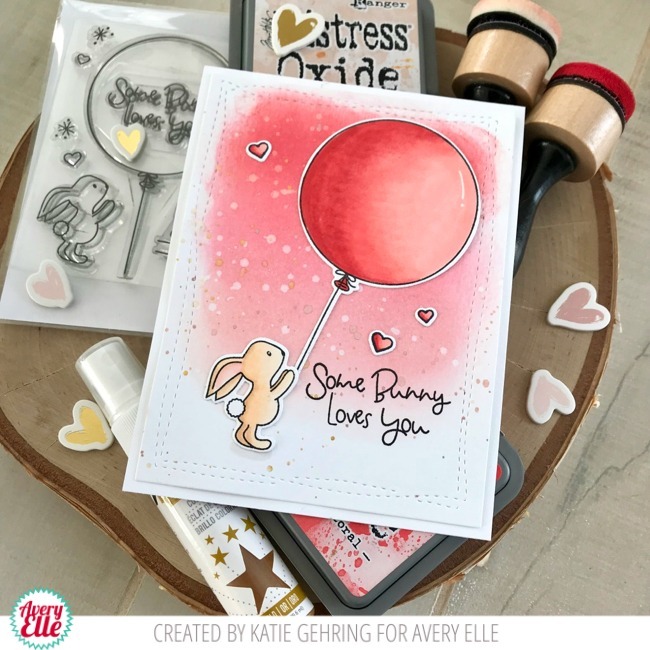 First, I stamped the bunny, balloon, and hearts onto white card stock using Avery Elle's New Moon dye ink. I colored the images with Copic markers and die cut them using the Some Bunny Elle-ments dies. Next, I cut a panel of watercolor card stock with the Wonky Stitches Elle-ments die and used Distress Oxide Ink t create a blended panel. I spatted the blended background with water and gold Color Shine. Finally, I adhered the images to the background and stamped the sentiment with black ink before adhering it to a white A2 notecard. I think it was Winnie the Pooh who said, "No one can be uncheered with a balloon." 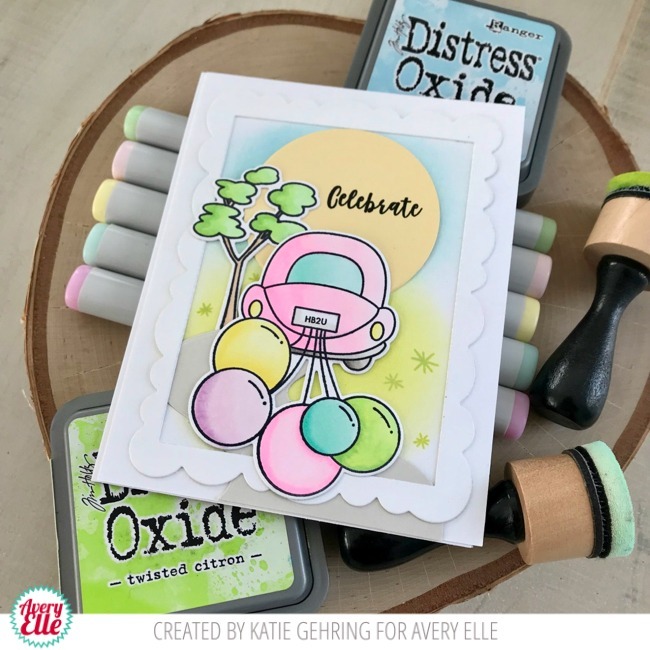 I hope this card and sweet stamp set brings a little cheer to your day.